Alex R. Schaer, born 1956 in Basel, Switzerland, studied electrical engineering at the Engineering College of Basel from 1976–1979. His Bachelor of Science was followed by a postgraduate degree in Biomedical Engineering at the Interstate College Buchs, St. Gallen, Switzerland, and a one-year internship as research assistance in the Rehabilitation Engineering Department of the Hugh MacMillan Medical Center in Toronto, Canada. After studies in the United States and Scotland, he did his doctorate at the Bioengineering Unit of the University of Strathclyde in Glasgow, Scotland. In 1993, he received the Swiss Society of Biomedical Engineering Annual Award for his PhD thesis and his research work in the area of biomechanics. In spring 2016, he was elected to honorary fellowship in the Academy of Prosthodontics. 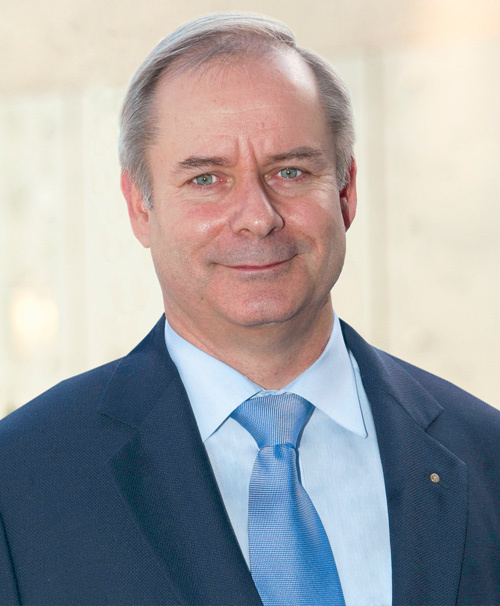 Since 2017, Dr. Alex Schaer is full-time CEO and member of the Board of Directors of the Oral Reconstruction Foundation, Basel (formerly CAMLOG Foundation). In addition, he is in the Board of Directors of the Foundation since 2011. From 2003 to 2016, he was a Member of the Executive Board of CAMLOG Biotechnologies AG, Basel. As CTO, he has been responsible for CAMLOG’s Research, Clinical Research and Industrial Property Rights. Before joining CAMLOG Biotechnologies AG, he held various positions from a development engineer to Head of Research & Development and Member of the Executive Management for 10 years at the Institute Straumann AG, one of the internationally leading companies in implant dentistry. In addition, he regularly presents at international congresses and at educational courses and seminars.